It’s crazy to think how far and how competitive the job-seeking industry has come over the last few years. Applications that may have received only a handful of applications can now receive in excess of 100. This means you need to tailor your resume in such a way that makes it stand out from all the rest of the candidates. To get you started, here are ten crucial tips that will allow you to do just that. Statistically speaking, you have around 6-8 seconds to grab your recruiter’s attention, and they’ll decide whether or not you’re suitable for the next stage of the process. This means your first paragraph and your first couple of sentences need to be perfect and full of impact. Just start with a short description of yourself and give the reader a sense of who you are. While trying to make your resume stand out, it is possible to take things too far and try too hard to stand out. Bear in mind that everybody who is writing a resume is trying to stand out from the crowd and therefore, if everyone’s looks like this, then they are all the same. Try to find a nice balance between a traditional resume and a unique one that works for the individual job that you’re applying for. At the end of the day, it doesn’t matter if you’ve got 100+ skills under your belt from various jobs, if you’re not good at them, this is useless to include them. Instead, make sure that you highlight several skills that you excel in and make sure the recruiter knows that these are what you excel in. There’s a lot of information to be found in the original job posting so make sure you pay attention to it. The language and formatting that it uses, the keywords that they use and the overall description of the person they are looking for. Now take these words and be sure to use them within your resume since this is exactly what your recruiter will be looking for. You can use an editing service like Revieweal to make sure you’ve matched it properly. A resume doesn’t mean that you have to only focus on work. Try to draw some attention to what you do outside work, maybe volunteer projects or other activities that the recruiter might be interested in. It’s also a great idea to list some hobbies since most recruiters will want someone who can fit into their company culture, not just the job role. When organising your resume, be sure to format and structure it in such a way that makes sense and shows you in the best light. This means putting your achievements and highest performing aspects at the top of your resume since this is the first bits they’ll see and is, therefore, their first impression of you. Be sure to separate each section with clear sub-headings sentences that aren’t too long. This means your resume is easily digestible and far more likely to be read fully. As mentioned in the introduction, some job applicants can receive a staggering number of applications. So, to help with this influx, many will use computer systems to scan the resumes they receive. This software picks out keywords set by the company that will match your relevance to the job vacancy. If you don’t score an 8 or above, your resume won’t even be read by a recruiter so bear this in mind when writing. Using tools like State of Writing is a great way to find these keywords. Within the job application, you should be able to see hints about what problems the company is currently facing and why they are employing you. For example, if you’re applying for a marketing vacancy, they may state they are looking for someone with experience in social media. In your resume, you should then highlight the fact that you’re an expert in social media and therefore the person they are looking for. It’s understandable that you really want to secure an interview for this job which is why it’s incredibly tempting to try and squeeze everything that’s positive about you into your resume. However, you need to make sure that your resume is easy to read and formatted neatly. The easier the information on your resume is to digest, the more chances you’ll have to secure the interview. After you’ve finished writing your resume, don’t be in such a hurry to send it off. 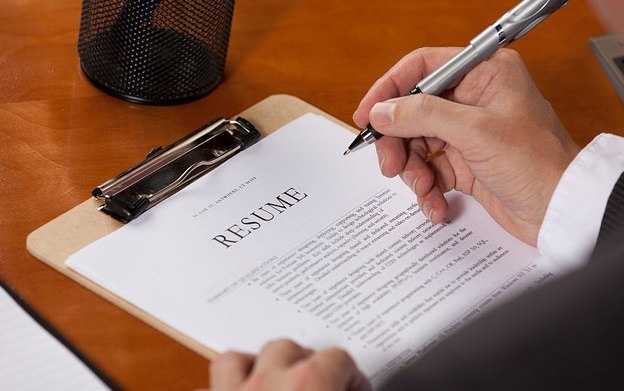 Be sure to re-read your resume over and over and over again to make sure it’s perfect. Proofreading tools like UK Top Writers is a great way to ensure perfection. Take note of how it reads, the sentence structure and whether or not you have any spelling mistakes, poor grammar or typos that could cost you the interview. Rachel Summers is an experienced writer living and working in the UK. She works as a journalist specialising in education, including Australian Reviewer, as she has a passion for helping students get the most out of their years in school. Her writing focuses on tips for making school easier for people who are studying and tools that can help them get the assistance they need.